The Legs Foundation for the Translation of Things (LFTT Library) 21 September – 7 November 2012, The Irish Cement Room Opening, Culture Night, Friday 21 September at 7.00pm In September 2012, The LFTT Library spent six weeks on residence in Highlanes Gallery Drogheda. Highlanes director Aoife Ruane had come across the Library during the summer at The Drogheda Arts Festival (see related posts) and was excited to see how it would work in the historic site of Highlanes Gallery. Also of interest was the parallel relationships of The LFTT Library collection and the Drogheda Municipal Collection which is housed at Highlanes Gallery. 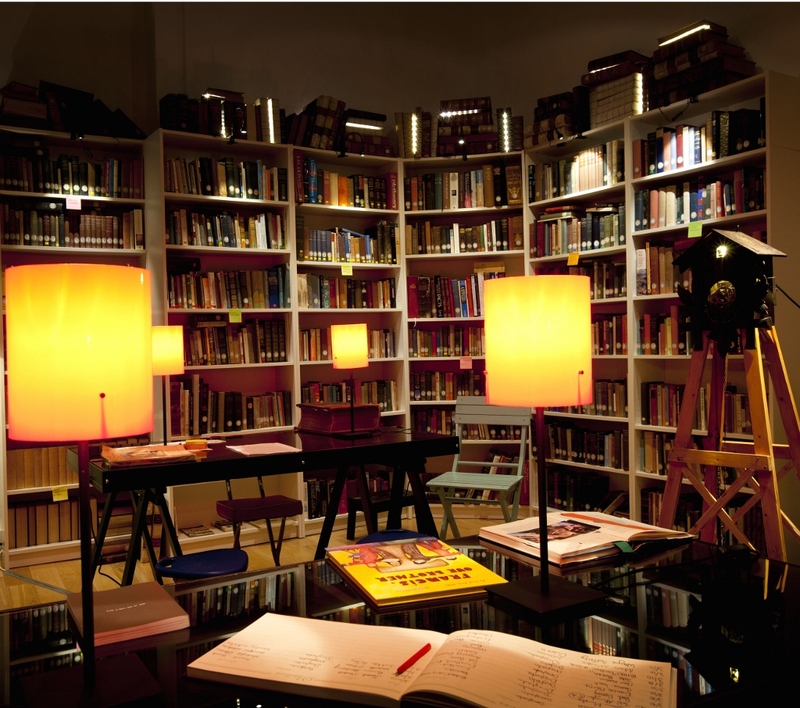 The intention was to use the residency as a way of introducing The LFTT Library to the public, first simply as a library in a gallery context, with a view to drawing out its use as a physical medium for the generation of work and/or performance, for a future install. This culminated in the first LFTT Library Show ‘Things in Translation: The Legs Foundation’ over the summer 2013. (see related posts). From the Press Release: The LFTT Library is not a traditional lending library. Items are provided for the purpose of generating artistic works in exchange for the works documentation. Documentation of engagement further becomes part of the expanding Libraries archive. There is no conclusive catalogue for the Library but there is an evolving categorical system which invites intervention from all those who engage with it. This is to encourage people to browse the Library within the locality of its current context and to enjoy the intimation of its eclectic surrounds. The 4,000 volume collection ranges in subject matter from theology to religious and folk mysticism, poetry, literature, Irish folklore, the humanities, popular knowledge and the speculative sciences. contin: While at Highlanes Gallery The LFTT Library will be functioning simply as a working library within a traditional gallery space. The relationship between the library as a historical collection (with items dating back to the 17th century) and Highlanes Gallery (home to the Drogheda Municipal Collection) is one that is both subtle and multifariously fascinating. It is hoped that both ‘institutions’ will have much to converse about during the Library’s stay. 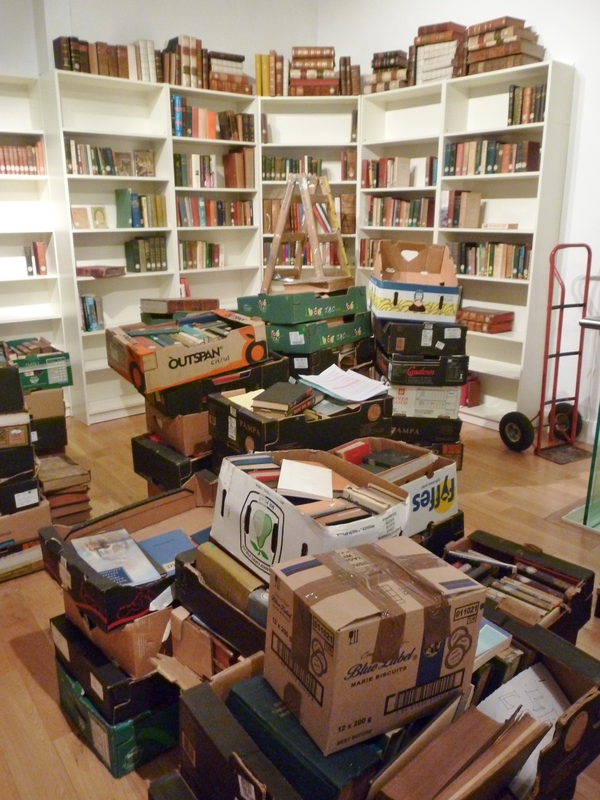 Also, given the historical context of Highlanes Gallery as a former Franciscan Abbey, The LFTT Library is very excited about reconnecting with its primitive roots. However, given the nature of The LFTT Library as an archive which is forever travelling and evolving with no aims towards ultimate enclosure, it is likely that it’s manifestation in the gallery space will be of a very ‘irreligious’ order. Residency: Artist and LFTT Library Curator/Archivist Helen Horgan will be present in the Library in the gallery on Culture Night, Friday 21 September and Saturday 22nd and each Saturday following that from 1-4.00pm Friday 5 October 6.00-8.00pm After Completion, A live performance, by artist Monica Flynn in response to The Legs Foundation for the Translation of Things Library, with Curator/Archivist talk by Helen Horgan. 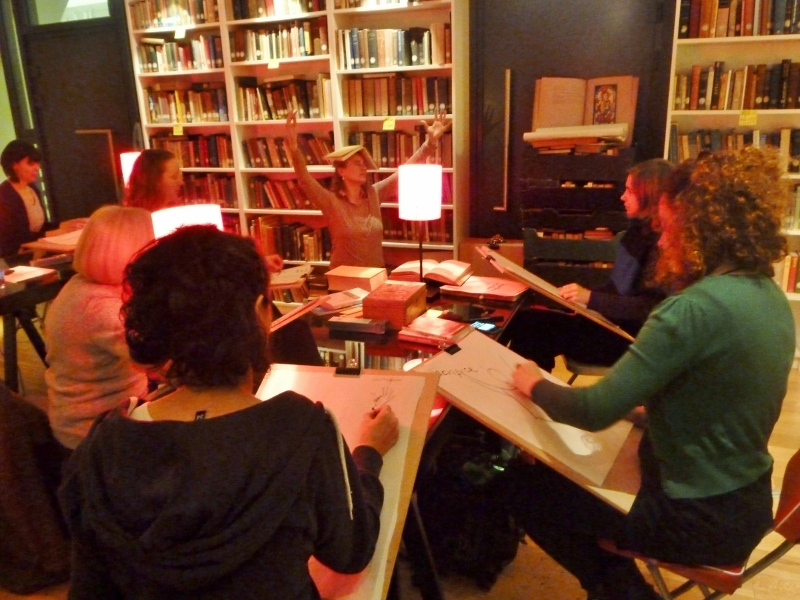 Saturday 20 October 1.00-3.00pm Drawing Workshop with Helen Horgan in collaboration with Sally Timmons of Commonplace Studios. 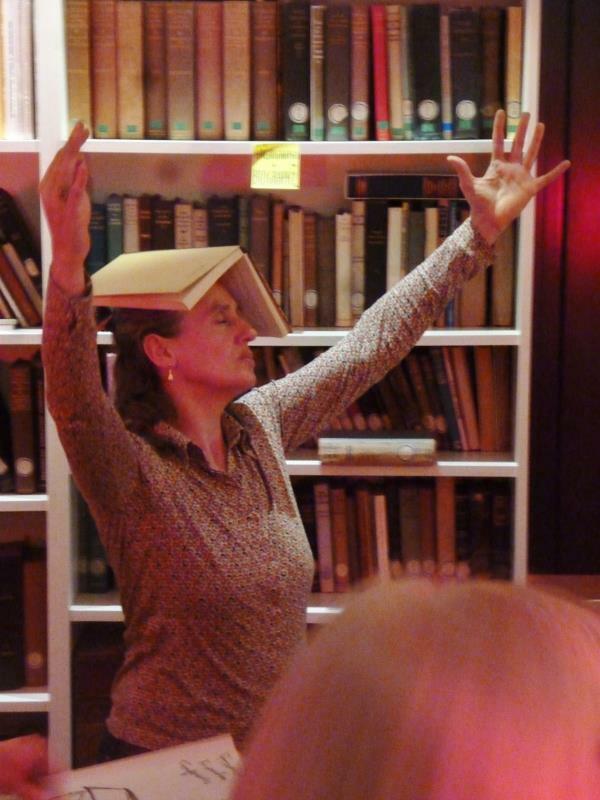 The workshop will involve a revised form of the still life class where participants are invited to make gestural/figurative responses to readings from the LFTT library collection. No experience necessary and all materials will be provided. The workshop is charged at €5.00. Numbers are limited so please email info@highlanes.ie; telephone + 353 (0)41 9803311, or call into the gallery to reserve a place. Saturday 3 November 12.00 noon Reading by artist Jessica Foley in response to The Legs Foundation for the Translation of Things Library. free, booking advised.